OS grid reference: SD 8424 3307. Just along from St Peter’s parish church at the north-side of the old Burnley grammar school at the junction of two roads, Bank Parade and Church Street, there is a small secluded, hidden garden surrounded by a wall and railings. Here stands the so-called Burnley Cross or Paulinus Cross and, also there is a 19th century cross-base and the old stone well-head of ‘The Shorey Well’, which used to stand beside the River Brun opposite. The blackened gritstone cross is about 3 metres in height, it’s thin shaft tapering away towards the top where there is a very mutilated wheel-head. In the centre a small round boss can be seen, but sadly the arms of the cross-head are almost gone. There are some faint traces of carving on the head and also on the shaft, but these are very faint now. The base of the cross is a rectangular, chamfered stone into which the monument is well-socketed. It is thought the cross was originally erected in 1295 for the price of “9 shillings and one penny” opposite St Peter’s parish church, in the area known as ‘top o’th’ town, but in 1617 a new market cross was set-up in Godley Lane, close by Ormerod Road, while the old one was placed in it’s present position in 1880. 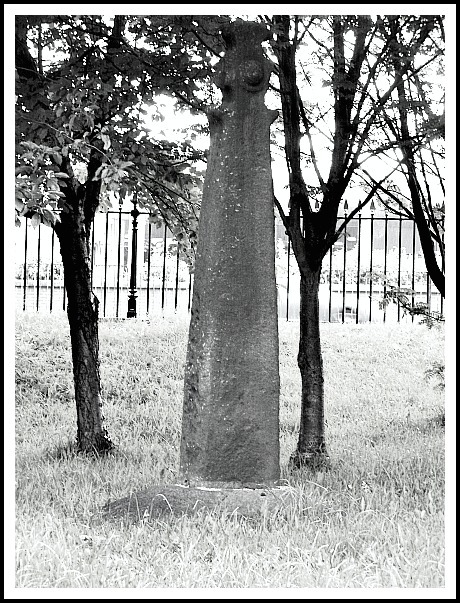 It’s appearance is said to be similar in design to the Anglian crosses in Whalley churchyard, so this could be why it has been referred to as one of the Paulinus crosses, which would date it, perhaps, to the 11th century. And this, then, is where the confusion arises between that and the old market cross. The octagonal base of the old market cross stands in the grammar school garden. This has one step and a three-course plinth along with a large round, moulded pedestal, rather like a very, very large flower pot! But, clearly the original cross shaft would not have been the right shape for this. So, is this what was referred to as the Paulinus Cross or the Market Cross? The old stone well-head is all that remains of ‘The Shorey Well’. 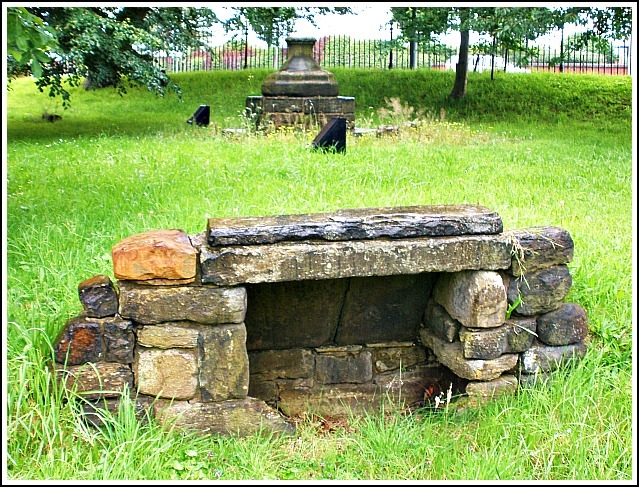 This was originally located on the bank of the River Brun opposite the old grammar school, and was the main source of clean drinking water for the northern side of Burnley. It could be reached along Shorey Bank, or by crossing over some stepping stones placed in the bed of the river by way of Dawson Square. But, when water pipes were brought in to use in the late 19th century there was no need for the old well; it’s stone surround was taken away and placed here in the little garden beside the grammar school. The Shorey Well (remains of), Burnley. Categories: Ancient Crosses, The Burnley Cross | Tags: Ancient Crosses, The Burnley Cross at Burnley in Lancashire | Permalink.